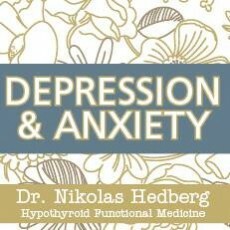 How to Beat Depression Naturally - Dr. Nikolas Hedberg, D.C. In order to understand how to beat depression naturally, we must understand what causes depression. For many years there has been a generally accepted cause of depression with the treatment revolving around neurotransmitter manipulation through antidepressant medications. It has become quite clear however that inflammation is at the core of depression, anxiety, insomnia and other mood disorders in many people. And, you can beat depression naturally! Antidepressants have helped many people and are definitely required for certain individuals in order to function. These medications manipulate neurotransmitter levels but they also have anti-inflammatory properties which can additionally explain why they help people. Studies are showing that patients with increased levels of inflammatory markers such as C-reactive protein, interleukin-6 and tumor necrosis factor alpha suffer from depression and other mood disorders. Why does inflammation cause depression? Normally, the amino acid tryptophan is converted into serotonin and melatonin which are important for mood balance and sleep. However, if you are inflamed, tryptophan will travel down the inflammatory kynurenine pathway. Kynurenic acid and quinolinic acid cause imbalances of your neurotransmitters as well as robbing you of healthy serotonin and melatonin levels. How does chronic stress create inflammation? A dysfunctional HPA-axis (hypothalamic-pituitary-adrenal-axis) due to chronic stress will create more and more inflammation. Cortisol produced by your adrenal glands is an excellent natural anti-inflammatory produced by your body. If you are stressed for long periods of time then you will develop resistance to cortisol and inflammation will increase. Your adrenals also produce norepinephrine and epinephrine commonly known as “adrenaline” which increases inflammation. Your autonomic nervous system is composed of the sympathetic and parasympathetic branches. The sympathetic nervous system is the “fight or flight” branch that is activated during stress and adrenaline is pumped out of the adrenal gland. The parasympathetic branch is the “rest and digest” branch which is important for digestion, repair and relaxation. Many people are stuck in a vicious cycle of cortisol resistance and sympathetic dominance due to chronic stress resulting in chronic inflammation. Traumatic physical and emotional experiences can create a low-grade, post-traumatic stress disorder type biochemistry that is a recipe for inflammation. Our brains can be affected for long periods of time after traumatic stressful events and they don’t return to normal without treatment. Many people never seek therapy or truly deal with these traumatic events and never really get better. It is virtually impossible to get well if you are inflamed. Yes. The research is clear that women suffer from depression more than men, with about a twofold higher risk. Why are women more prone to depression than men? Women are affected more by relationship issues than men. Lack of physical affection, emotional support, childcare stress, disagreements etc. affect women more significantly than men resulting in increased inflammation. When women gain body fat they become more inflamed than men who gain body fat. Men can gain weight and not become as inflamed as women. Hormonal fluctuations during the menstrual can increase inflammation. Estrogen is anti-inflammatory and as levels drop too low due to a variety of factors, inflammation can increase. Women exposed to the same endotoxin as men that triggers inflammation experienced more depression than men. 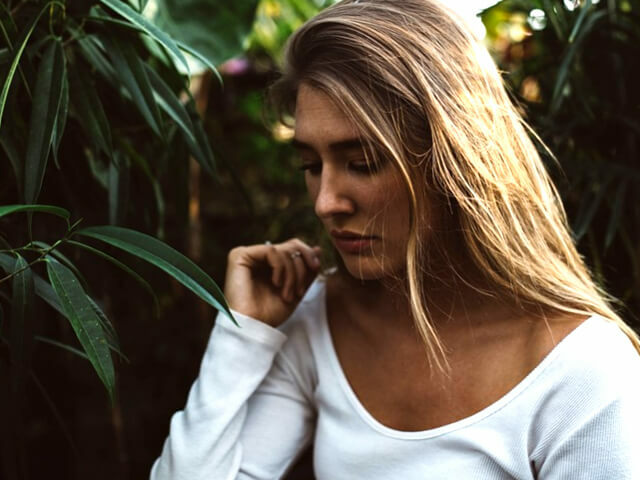 Endotoxin-induced inflammation also caused women to become more lonely and socially disconnected compared to men receiving the same dose. Women were found to have greater levels of inflammation than men after sleep deprivation. Women experience more fatigue than men if they are inflamed. Men can be inflamed and not notice fatigue the same way women will. Women who are socially disconnected show higher levels of inflammation. The lack of connection with friends and family significantly increases inflammation in women. Women are more likely to have experienced physical or verbal abuse as a child compared to men. The more body fat you have, the more inflammation you experience when under stress. Globally, women suffer from obesity more than men. People who experience adverse childhood events actually show higher levels of inflammation as adults than those who did not experience similar levels of trauma. What can you do to reduce inflammation that is causing depression? The first thing you have to do is figure out what is causing the inflammation. You may need a stool test to identify chronic infections in the gut for example. You may need an adrenal profile to identify cortisol imbalances or an organic acids profile to identify issues with amino acids and neurotransmitter metabolism. Or it could be subclinical hypothyroidism that has been overlooked. These are a few examples of areas that could be causing your depression. The investigation begins with your functional medicine practitioner to uncover the root causes of the inflammation. You may need to seek therapy to work on any traumatic events you have experienced in your life or go to counseling with your partner to resolve relationship issues. Cognitive behavioral therapy is highly effective for dealing with post traumatic stress and ongoing psychological problems. If you are disconnected from friends and family then you will experience more inflammation and mood problems. This can be difficult for some people because of the way they feel, so set the bar low and start with just one person to spend time with. It’s important, especially for women, to spend time with other women. Is there a genetic component to depression? In some cases your genes may be part of your mood imbalances. The way your body produces and metabolizes serotonin, dopamine and adrenaline may be altered by what are called genetic polymorphisms. Your receptors to the above neurotransmitters may also have genetic defects which results in a need for higher levels of these chemicals to be effective because of poor binding to the receptor. Other factors involve methylation defects, especially the MTHFR defect. If you have the MTHFR defect then your body won’t optimally metabolize folate which is important for your mood. Some people notice big improvements in their mood when they supplement with methylated folate if they have this polymorphism. How can gut bacteria cause depression? There are profound connections between imbalances in your gut bacteria and many diseases including depression and anxiety. The more antibiotics you have taken throughout your life the greater chances you have abnormal gut bacterial colonies known as dysbiosis. Additionally, chronic consumption of refined carbohydrates and sugar will created dysbiosis. Dysbiosis creates inflammation as well as problems with digestion and absorption of the food you eat and supplements you take. In some cases, addressing dysbiosis and gut infections can result in less inflammation and a better mood. The gut-brain connection runs deep and it must not be overlooked in cases of depression. How does exercise play a role? It has been very clear for a long time that exercise works just as well as antidepressants for depression. However, too much exercise increases cortisol and adrenaline which will only make you more inflamed. You’re going to have to find the right balance because exercise is one of the best things you can do to reduce inflammation. Use this rule of thumb: If you feel energized at the end of your routine and you could easily do the entire workout over again, then you are probably exercising with the right intensity. If you feel wiped out like you couldn’t easily keep going then you’re probably overtraining. Many people need to take it easy and just do some light yoga, walking or something fun for a while and stop putting extra stress on their bodies through excessive exercise. Can meditation help to beat depression naturally? Meditation has been shown to improve depression, anxiety, memory problems and much more. It’s free, easy to do, and you don’t need anything to do it other than yourself. You only need to do 10 minutes a day to reap the benefits of meditation. Read my article here on meditation and how it can really help you improve your mood and overall health. Start journaling about all the things that are stressing you out. Write down how these things make you feel. Write about the absolute worst case scenario of everything you are stressed about. Journaling has been shown to really help with mood disorders after just a few weeks of doing it. Putting things down on paper has a way of “dumping” all those things you are ruminating about and makes you feel better. Will supplements and diet help? Yes and no. Clearly, eating a healthy diet will reduce inflammation however this can actually create more stress and anxiety if you aren’t eating perfectly all the time. Some people are obsessive about what they eat which will actually create more problems and offset the benefits of eating right. I follow the 90/10 rule meaning that 90% of the time I eat “healthy” food, and 10% of the time I eat things that I love. Don’t be too hard on yourself when it comes to food, and be sure you are taking the time to enjoy what you eat. Supplements such as fish oil, curcumin, quercetin, and vitamin D to name a few will reduce inflammation. These can be helpful but they are not a long-term solution. Again, the key is finding the underlying causes of the inflammation and correct those so you are not reliant on supplements. One popular method of assessing neurotransmitters in the functional medicine world is urinary neurotransmitter testing. Unfortunately, this is not an accurate way to assess neurotransmitter levels. Organic acids show us how the body is actually metabolizing neurotransmitters which is a much better method than trying to measure whole neurotransmitter levels. Serotonin, dopamine, GABA, norepinephrine, and epinephrine can be changed through various herbal medicines and supplements, but again this is not a long-term solution. These products can definitely, in some cases help people feel better as they go through the healing process. If you are taking any type of psychotropic medication, you should never combine them with any herbs or supplements without consulting your prescribing physician. The most difficult conversations I have to have with patients revolve around relationship stress and psychological problems that are contributing to their health problems. Treating these issues is outside of my area of expertise, but I am well-trained in recognizing them as a causative factor. The best nutrition, hormone balancing, exercise, supplementation etc. may only be a short-term band aid, but long-term success requires the help of a mental health expert. It has been profoundly clear over my career that those who seek mental health support end up getting well and those who don’t, just don’t get better. This is because the inflammation continues despite our best efforts. There are some cases where psychological issues are not related to the depression and the inflammation is due to other factors such as those listed above. Once we find the underlying cause of the inflammation and correct it, mood begins to improve. It should be clear to you at this point that depression is a sign that something in your body or your life is out of balance that needs to be addressed. It may be time to take a hard look at your past traumas and current stressors as a major factor in your health concerns and take the necessary steps to address them. If you have already worked on those issues but you still aren’t feeling well, perhaps it is time for a more thorough investigation into the causes of chronic inflammation in your body. ← Osteoporosis: Is the key to building bone building muscle?